Squash blossoms are delicious and one of my favorite special treats. Technically, they are edible flowers produced by the zucchini. They are highly perishable, ideally consumed the day they are picked, and thus you are more likely to see them early in the day at a farmer’s market than at a supermarket. These flowers can be either male or female; the females typically have baby summer squash attached to the blossoms. You can eat either one but if you are picking fresh ones, it is better to pick the male ones and allow the female flowers to develop into squash. 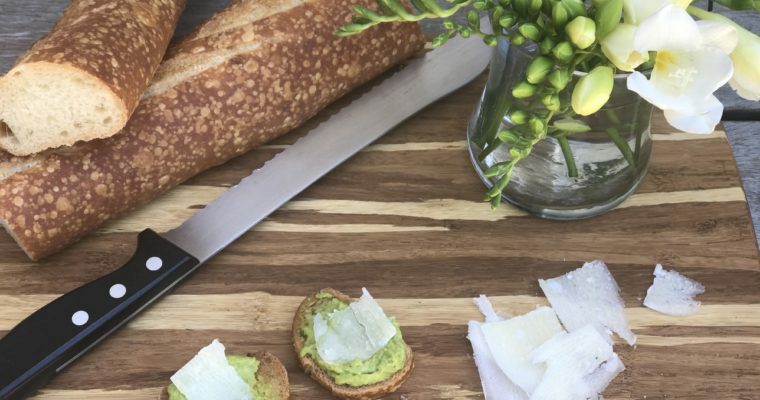 These delicate blossoms are completely edible, including the green leaf-like base. They have a very subtle flavor and can be eaten raw. More commonly, you see them cooked: stuffed, battered and fried. In areas of Italy and Spain, they are used to make squash blossom fritters. 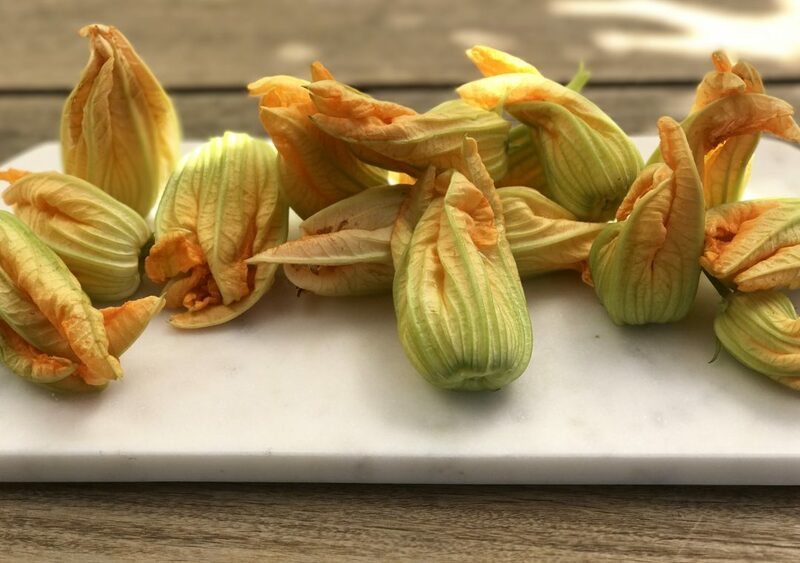 Many people shy away from working with squash blossoms because they are delicate and home chefs often are not sure what to do with them. You shouldn’t hesitate. They are not that hard to cook and they taste ridiculously good. If beading and frying them does not appeal to you, you can also chop them up, sauté them, and add them in a quesadilla. You will still get excellent flavor, and most eaters (including kids) will be intrigued and pleasantly surprised. Still sound like too much work? No worries. 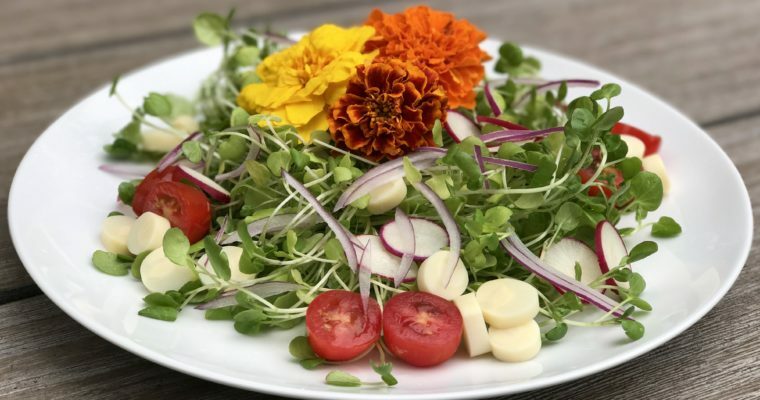 Slice up raw blossoms and add to a salad and or as garnish for an entrée. You really cannot go wrong. 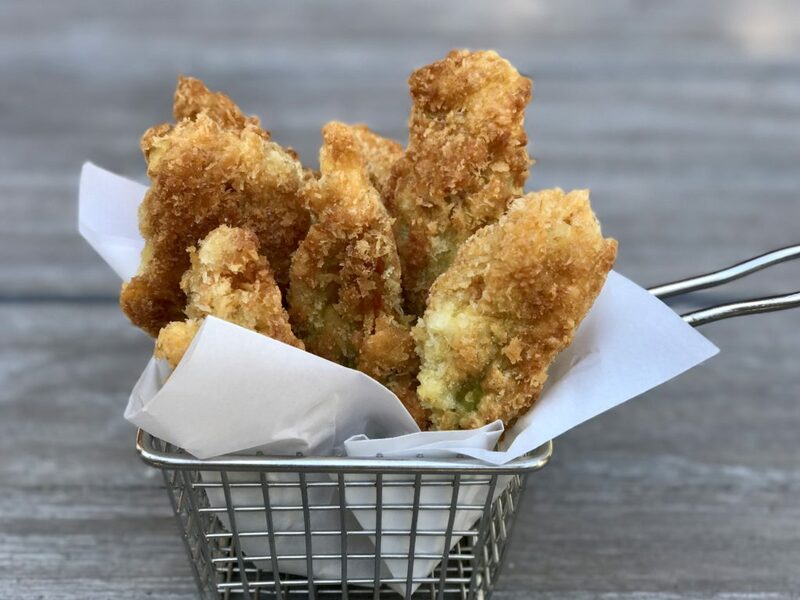 When I fry squash blossoms with panko bread crumbs, my boys DEVOUR them. They would eat them daily if I could find them and if I were willing to make them. Despite being fried, after the outer crunch you will find an airy texture that almost melts in your mouth. 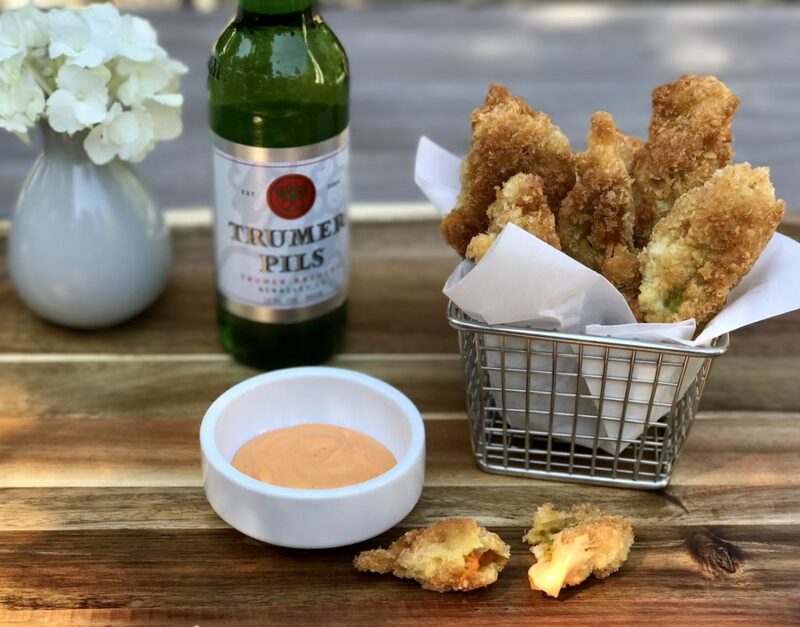 You can eat them straight up but I also serve them with a spicy chipotle aioli and, for the grown-ups, pair them with a cold pilsner. On a warm summer day, you can’t get much better than that. Step 1 Place the eggs in a small bowl and beat lightly. Place the flour in a second bowl and the bread crumbs in a third. Set aside. Step 2 Line baking sheet with paper towels and set aside. Step 3 Working one at a time, coat a squash blossom completely in flour, then in the egg, and lastly with bread crumbs. Set on a large plate and repeat with the remaining blossoms. Step 4 Place the oil in a large sauté pan over medium-high heat. When hot, but not smoking, add the coated blossoms and fry, turning two more times until the entire blossom is golden brown. Step 5 Remove the cooked blossoms from the pan and drain on the prepared baking sheet. Season generously with salt. Serve as is or with your favorite dipping sauce.